SILVER ELEPHANT FIGURES 20TH C.
From a good collection of vintage Indian Jaipur enamelled and jewelled silver figures we offer this fine pair of elephants dating from the early to mid 20th century. The small standing elephants have their trunks resting on their heads with their mouths open. 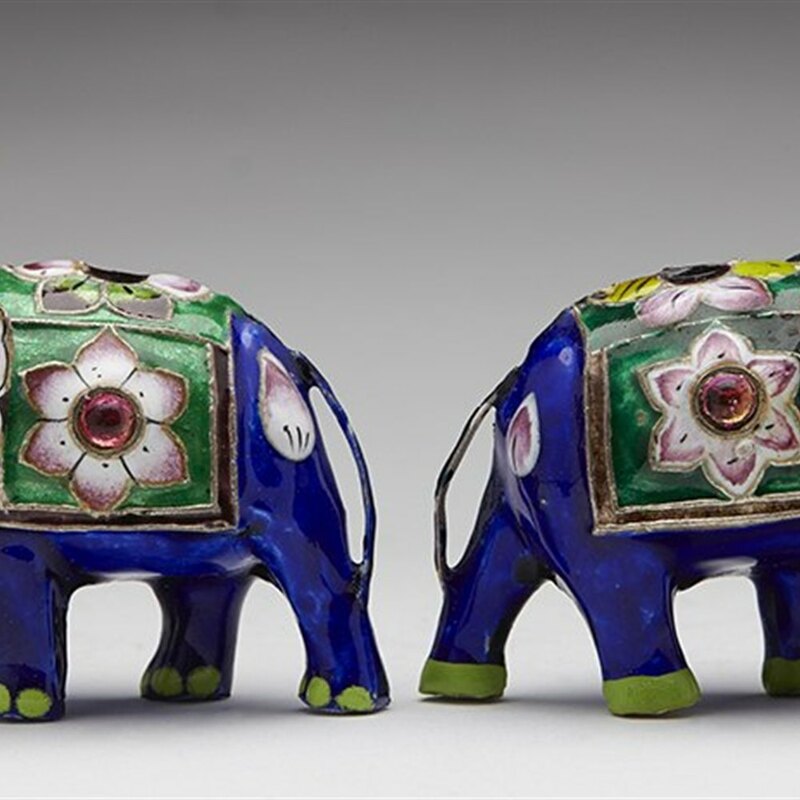 The elephants are finely decorated and detailed with richly coloured enamels and set with jewels. The enamels are set within silver metal outlines and both have decorative hanging seed pearl tassels. Possibly chess pieces the elephants are not marked.